Dayan Jayatilleka needs no introduction. He is one of the most prolific writers and powerful commentators on current political affairs in contemporary Sri Lanka. The ex-diplomat’s stylishly forceful writings reflecting his present political stance evokes mixed reactions among readers. Some rave about them while others rant against them.Dayan’s personal and political journey has been a hectic roller coaster ride with many ups and downs and fluctuating positions. Dayan’s colourfully eventful past is not known to many among the younger generation. Dayan Jayatilleka celebrated his 60th birthday on December 3rd 2016. Knowing Dayan personally for over three decades and having observed much of the twists and turns in his life, I thought of interviewing him on the occasion for my blog. He readily obliged. I posed several questions of an inquiring nature to which Dayan responded frankly and in detail. Obviously I was not in agreement with some of his views but the objective of the interview was not to engage in a polemical debate with Dayan. It was aimed at eliciting through his own words an insight into his life and experiences.What I have tried to do through this interview is to shed some light on Dayan the man. Dayan Jayatilleka being Dayan Jayatilleka was never at a loss for words while elucidating his point of view candidly. He was quite forthcoming and never declined to answer any query.The conversation which covered a number of matters in the past,present and future is presented here in full. Happy Birthday Dayan! Let’s begin with a somewhat personal question. You are the only son of Sri Lanka’s distinguished journalist Mervyn De Silva. It is quite visible from your writings that you cherish the fact. Yet, you use the surname Jayatilleka instead of De Silva. Why is that and how did this come about? Let me assure you that both surnames, De Silva and Jayatilleka are authentic and documented—though somewhere along the line, as an individualist whim, I’ve changed the last letter of Jayatilleka from an ‘e’ to an ‘a’! My birth certificate reads Ahangama Vithanage Mario Dayan de Silva Jayatilleka, while the notice of my baptism in the gazette of St. Mary’s Bambalapitiya—which by the way was the first time I appeared in print—dated Dec 11th 1956, lists me as Mario Dayan de Silva Jayatilleke. At Royal my father was known as AVMD de Silva, which stood for Ahangama Vithanage Mervyn Douglas de Silva. The prize day reports and college magazines at St. Joseph’s College list me as Dayan de S. Jayatilleke. 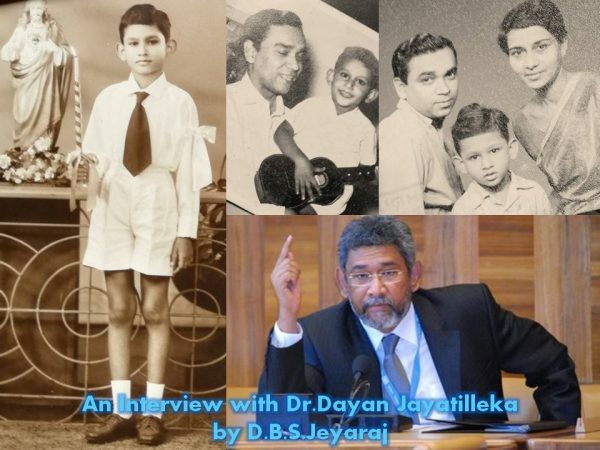 It may have been originally for brevity that I began to be called Dayan Jayatilleka in school, but I notice that in the fly-leafs of my books, I had evolved from signing as Dayan de Silva as a child, through Dayan De Silva Jayatilleka as a boy, to Dayan Jayatilleka as I entered my teens. Clearly it was the growth of an individual identity. And your Father was OK with his only son going as Jayatilleka? The names Ahangama and Vithanage are understood but what’s the origin of Jayatilleka. Where did that come from? The Jayatilleke came from my paternal grandfather. In fact the evidence shows that Jayatilleka was what he was and De Silva was either a subsequent accretion or it had been dropped for a while. He was a student of Trinity College, Kandy, and his Cambridge Junior Certificate which I have with me, was dated December 1913 and signed by the Vice Chancellor of Cambridge University, MR James, bears the name Ahangama VR Jayatileka. When I knew him he had been AVR de Silva for a long time and his children, while retaining the patronymic Ahangama Vithanage, had lost the Jayatilleka. My hunch is that Mervyn restored the Jayatilleka because I was born in 1956 and he was influenced by the emerging ideological trend of “nationalization”. I went one further and dropped the De Silva in practice while retaining it my passport and all official documentation. Perhaps I was partially influenced by my father’s lampooning of his extended family in a column called “We the De Silvas” which was a satire on something that SWRD’s Finance Minister, the monocle Stanley de Zoysa had said in Parliament about “We the de Zoysas”. So you are a “Panashaye Daruwa” and Mervyn himself was influenced by the spirit of 56.In the context of Mervyn a further query – you are also very proud of your father’s prowess as a journalist. You have referred to Mervyn’s journalism in glowing terms on numerous occasions. You too possess commendable analytical skills and a remarkable writing style. Why is it then that you never chose to follow your father and become a full – time or professional Journalist? I recall people asking me as a boy “so are you going to do English, like your father?” or “are you going to be a journalist like your father?” I was never offended by it but was always faintly amused by the underlying assumption and unfailing replied “no”. I respected journalism and journalists and had met some of the world’s top journalists in the company of my father. The only kind of journalist I once considered becoming, was a war correspondent, roaming the world, covering the most intense and interesting stories, meeting the most admirable and heroic personalities. But that was only a passing phase. I guess I was more attracted to ideas, to the intellectual dimension, or perhaps I felt impelled to go beyond my father’s vocation of covering the story to the next level of participating in the writing of the story; it’s unfolding. Well, instead of becoming a war correspondent you are now making war through words on many fronts.Do you think Mervyn would have liked your becoming a full-time journalist? Mervyn said at the time, that I wasn’t a professional journalist or editor – unlike his protege Ajith Samaranayake, whom he mentioned in that conversation–but that I would make “an excellent columnist”. When I was a boy, he also said would make an “excellent diplomat”, possibly because of the ease with which I interacted with important individuals on our many travels all over the world, or because of my negotiating skills between my parents when there was domestic conflict. In my teens he tried to shift the focus of my attraction from Guevara and Giap (“too dangerous”), and the politico-military side of things. His chosen role model for me was not one of the great journalists/editors of his acquaintance or reading, but one of his politico-diplomatic heroes: China’s Zhou Enlai, revolutionary and diplomat. I suppose then Mervyn would have been proud to see you as a diplomat in Geneva and Paris.Anyway even if you didn’t take up journalism as a full time career you did play a big role in the “Lanka Guardian”? I wrote for the Lanka Guardian almost from the first issue, probably the second one, while I was still an undergraduate. Although my father insisted on running the pieces under pseudonyms, probably not to rattle the right-wing establishment in the university system, that thin disguise didn’t work and I was not recruited to the campus staff. Anyway my authorship was outed on the record by the master bibliographer Ian Goonetilleke and later by Dr. Kumar Rupesinghe in their superb bibliographies covering the ethnic conflict. I didn’t write to the Lanka Guardian only during the years I was underground. Later on you even ran the magazine as editor for a while. What led to that? In 1996 my father invited me to the 80 Club which as you know was one of his many ‘watering holes’ and told me that he was no longer able to manage the Lanka Guardian, especially in the matter of raising funds, and requested me to take over. He was never in the habit of asking me for anything and on the rare occasions he did, I tended therefore to comply. Basically I felt I couldn’t refuse him. I took over the magazine as Editor while making him Editor-in-Chief. I obtained a grant from the Asia Foundation, brought in new writers and a new look, raised the journal’s flagging profile and tripled the circulation. As the rigorous external audit that the Asia foundation undertook confirmed, I was meeting all targets and staying within the budget. We were on track to self-sufficiency. Then something happened. What Happened? Why did the Lanka Guardian bid adieu? 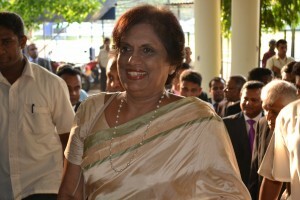 The magazine was making waves – as it should–and the Chandrika Kumaratunga administration was reacting. Meanwhile the liberal young head of the Asia Foundation, an American Ed Anderson left Colombo and the acting head, a US educated Sri Lankan informed me that due to Budget cuts, the grant they had signed with me, and which the LG had been in strict compliance with, had been “ de-obligated” (that was the word she used). Meaning the funds had been pulled out. What was strange was that the same source granted money to another magazine which was launched during the David Gladstone days of anti-Premadasaism, and was currently pro-CBK, pro-‘package’, unlike the LG. It was operated by an NGO which was headed by a close friend of the lady concerned. Years later when I met Ed overseas, he was appalled at the early ‘de-obligation’, because, as he said, the Lanka Guardian was upheld to his visiting bosses during his time as a success story of a turnaround assisted by the Asia Foundation. So I can figure what happened! In a pincer move, some of my father’s friends who headed an ethnic studies NGO promised to help in the funding, provided the magazine’s profile changed and I was moved out. So I left gracefully, though I must say my mother Lakshmi warned Mervyn not to trust their common friends in matters such as this. In any event they didn’t pump in any funds, but did sell him a computer! I edited the magazine for two years, from 1996 to the 20th anniversary issue of May 1st 1998, wrote a valedictory editorial and exited. Mervyn took over again, but could never really revive the journal or maintain it at the level I had left it, in terms of circulation—as one look at the back issues would show. Basically it was a pincer operation and I was sabotaged and he was doublecrossed. In later years after Mervyn passed away. Could you not have revived the journal when the situation was more conducive? Close to the Presidential election of 2005 there were several offers to revive the magazine with injections of funding but didn’t want to accept the offers though they came from the same camp that I was politically supporting. Legally, I own the magazine and the Publishing company, but I witnessed the cross that Mervyn had to bear in his last years while trying to run an intellectual little magazine’ in a society in which that readership as well as literate pool of serious minded writers had dried up or simply, and literally, died out. It is indeed a pity that the LG had to be stopped. Until now I did not know what had exactly happened in this matter. Thanks for telling me.Let me move on in another direction. You have a colourful, multi-faceted past. Academic, Author, Editor, Columnist, Analyst, Ambassador, Revolutionary, Fugitive wanted by the State for “terrorism”, Provincial minister of the first and only North-Eastern council, public speaker, political adviser and activist etc are some of your many roles. Who is Dayan Jayatilleka in your self-perception? How would you describe yourself? What makes you tick? I received an answer, the extraordinary accuracy of which I did not understand at the time, in a valuable book. I read it while on the run and hiding temporarily at the house outside of Colombo of an outstanding administrator and intellectual of the old school, who is no longer alive. It was co-authored in the 1930s by two Austrian psychologists who were escaping Nazi fascism. I did the extensive, sophisticated test contained in it and read the diagnostic conclusion that what mattered most to me, what really made me tick, were my ideas–and their dissemination and application. I realized how true that was years later. My mother’s spiritual advisor whom I inherited as a mentor of sorts, Fr. Vito Perniola SJ, former Head of the Jesuit order in Sri Lanka, author of the Oxford University Pali Grammar and Church historian, one of the most formidable minds I have known, used to point out to me that my field was “political philosophy…the philosophy of politics”. He too proved correct. So I regard myself as a man driven by ideas, mainly political but also philosophical ideas, and their application—which of course is the famous Marxian formula of “the unity of theory and praxis”. If you want a shorter self-description, I’d say an “engaged intellectual” as the French put it, or a “public intellectual” as they say in the US. If you want a one-word self-description, I’d say simply, an intellectual. Yes. I think the description ‘engaged intellectual’ fits and that has been your role then and now. But what troubles a lot of people is the perceived change in you, particularly in the sphere of ethnic relations.There was a time when much of your writings enlightened people about the myths and fallacies surrounding the ethnic issue. Your role in the Committee for Rational Development in the aftermath of Black July 1983 was extremely positive at that juncture. Nowadays in a bid to put across your opinion more effectively you seem to be engaging in misinformation and disinformation. Recently in one of your articles you stated that the Sinhalese have no place to go except Sri Lanka whereas the Sri Lankan Tamils have many places to go to. Now I can understand some ill-informed person lamenting in this way. But how could a well-informed person like you stoop to such provocative and blatantly untrue remarks? I don’t think I actually said it quite that way. What I did say was that except for this small island there are no places on the planet where there are Sinhalese in large numbers and Sinhala is a recognized language, while there are long standing Tamil communities in Tamil Nadu, Malaysia, Singapore, South Africa etc. Pan-Tamilism is possible precisely because of that demographic factor. A Realist must recognize and articulate this geopolitical reality, while accepting the existential angst and sense of threat that goes with this unalterable situation. This is why there are limits to possible devolution. This is why federalism is untenable and the unitary framework is a strategic imperative. This is why the emphasis must shift to equality and integration. Conversely the factor of pan-Tamilism is also why the Sinhalese must understand that the abolition of the 13th amendment and the striving for zero-devolution, is a non-option. I understand Sinhala anxiety on this issue. But the “Ilankai Thamizhar” too share this feeling in their own way.There may be Tamils living in other lands but the Sri Lankan Tamils are a distinctive people belonging to this Island alone. Anyway let it pass. How do you see the ethnic issue now ? As the “Tamil national question” or as a “militarily resolved terrorist problem”? What is your stance on this? I take neither position. I see it as a problem of a national minority, not a nation. Sri Lanka must draw up a New Social Contract in which national minorities are integrated on the basis of equal citizenship and non-discrimination while assured of a reasonable sufficiency of autonomy through the devolution of power within a unitary state. A Sri Lankan nation must be built on the basis of integration through equality and centripetal devolution. The problem remains essentially as Lord Soulbury perceived it, not only in the 1940s but also in his reply to C. Sunderalingam in 1964. What makes the problem intractable is that the Tamil nationalists are incapable of accepting they represent a minority on the island and are entitled to all the rights guaranteed by the UN to national minorities—but are not a nation with a right to self-determination. Since the problem remains intractable, it cannot be resolved, only managed. I have long shifted from an idealist or Romantic view to a classically Realist perspective. So you have shifted from a romantic to realist phase. You say Tamils are a national minority and not a nation entitled to self-determination.But I recall a time when you were the darling of the progressives and nationalist intellectuals among the Tamil Community. You were supportive of the right of self-determination for Tamils and also viewed the Tamil armed struggle positively. Your writings were published in almost every Tamil publication and relished with glee. Obviously much water has flown under the bridge since then and you articulate what from your perspective is a realist opinion.Today you are criticised and reviled by many – unfairly perhaps – as an anti-Tamil racist denying the legitimate rights of the Tamils. How did this situation occur? Why did your political journey change direction in this manner? When I supported the right of self-determination ideologically I was an undergraduate in my early 20s. I had read Lenin pretty extensively but suffered from an excess of bookishness and dogmatism – perhaps natural in someone with a Catholic religious formation. I was far too much of a universalist – also natural for a Catholic – and abstract internationalist, and failed to comprehend the specificity of the Sri Lankan situation. I had a second theoretical failing, for which I was criticized by my friend Dr. Newton Gunasinghe, the highly literate Marxist. As an undergraduate I was influenced at the time by the framework of an iconic Marxist intellectual with whom I would go on to study as a PhD student at Binghamton, New York: Prof Immanuel Wallerstein. His central categories were the “world-system” and “anti-systemic” struggles. Newton warned me that not all “anti-systemic” struggles should be supported and he was right, but I was ideologically too much of a Maoist-Guevarist and temperamentally too much of a Romantic – as Mervyn used to critically describe me – not to feel automatic solidarity with young men taking up arms in guerrilla struggle against the State, be it in the South in April 1971 or in the North in the late 1970s and early ’80s. But it must be recalled that these years were what MR Narayan Swamy the Indian journalist and author of several books on the war, calls “the romantic phase” of the Tamil struggle, which he accurately says came to an end in 1984. It is also the years in which the Marxist tendency of the Tamil struggle was at its strongest, and even the non-Marxist Tigers were given a leftist sheen by Anton Balasingham, Nirmala Nithyanandan and her husband. You yourself , in that romantic phase – had at one time – a solid relationship with the Eelam Peoples Revolutionary Liberation Front(EPRLF) and its popular leader Padmanabha. How did that come about? K. Pathmanabha accompanied by Suresh Premachandran, Mano Rajasingham and Gunasekaram (‘Gunsi’) came to Peradeniya in 1978 or 1979, having read my writings, and established a warm comradely relationship with me. Pathmanabha was still with the EROS whose leader Eliyathamby Ratnasabathy was a friend of my father’s and had been introduced to me in London. I still have my first copy of Louis Althusser’s For Marx, dated August 1973 London, which was picked out for me by Ratnasabapathy. Pathamanabha had been trained by George Habash’s PFLP and my father and I were admirers of the Palestinian struggle, especially the left-wing led by Dr. Habash. Mano Rajasingham showed me the newspaper that the EROS student wing, GUES, was publishing in the UK, titled Progressive Voice. I was struck by the political literacy of the content, not to mention the shared fondness for Che Guevara and Stalin. I advised Pathmanabha to leave the EROS, because Ratna was not a serious, disciplined revolutionary leader. When I next met Pathmanabha I was about to leave for the USA on my Fulbright and PhD. He had just formed the EPRLF and gave me the manifesto of the founding congress. The cover was fire-engine red and had a yellow star. It was 1981. You recognized a kindred spirit in Nabha. You all were ideologically fraternal comrades.So why did this situation change? What must be understood was that my relationship with the Tamil struggle was with its left wing, and because I assumed that we believed in the same ideological Gods and saints, would apply a shared ideology and model, and that these were my generational and ideological counterparts. I suppose as an only child, I had always been looking for brothers. We were brothers alright, but much more like Cain and Abel, or Joseph and his brothers who dumped him down a deep pit for his technicolour coat! What happened was very different from our dreams. The Tamil Left was wiped out by the Tamil Right, the LTTE. The Tamil people more or less supported the LTTE through all its depredations and incredibly, even during the LTTE’s war against the Indo-Lanka accord and IPKF, and the subsequent killing of Rajiv Gandhi. The Tamil Left never united despite all my entreaties dating from 1984. They were almost wiped out and the ones who weren’t, converted to Tamil ultranationalism. Not only was the gravitational pull of Tamil nationalism too great for the Tamil Left to resist, the very character of that Tamil nationalism was quite different from say Irish Catholic nationalism. It was maximalist, fanatical and politically fundamentalist. It was akin to fascism or more charitably, the right-wing of Zionism. Even today, there is no Tamil progressive or moderate tendency in or outside Sri Lanka that is willing to denounce the LTTE, Prabhakaran and Tamil Eelam openly. That shows me the nature of Tamil society; of the Tamil political culture. What was the defining moment of your transformation in this respect? My epiphany came with the founding of the North East Provincial Council in 1988. After the EPRLF assumed office the entire attitude changed drastically and they became Tamil ultra-nationalists. Maybe it was the place or maybe they already were and the place brought it out. Prof. Urmila Phadnis, the doyenne of Delhi’s Lankanologists put her finger on the politically perverse peculiarity differentiated the DNA of Tamil nationalism from other sub-nationalisms in South Asia. Having published an article called “Tamil Bangla in Ceylon” way back in 1972, when she wrote her last book in 1990 she had identified the phenomenon as “an autonomist-secessionist continuum”. 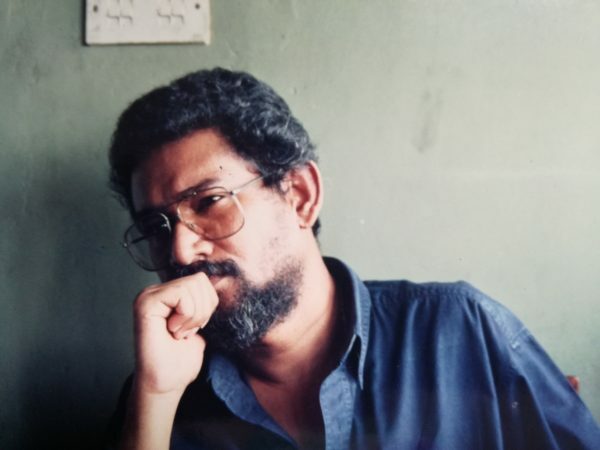 What I experienced from 1988 onwards is that Tamil politicians Right, Left or Center – perhaps with the exception of Douglas Devananda – do not care about the political and physical fate of their Sinhala partners. They are not really interested in forging a sustainable bloc of Southern and northern progressives for a reformed Sri Lankan state and society. In 1988, the Southern Left of which I was an active member had lost its finest personalities to JVP murder squads because of their fidelity to anti-racism, devolution and peace. But the Tamil parties including those on the Left never moderated their demands so as to persuade the Sinhala masses or allow us to do so. By contrast the Sinn Fein/IRA dropped most of its historic demands and accepted devolution within a formally unitary British state, precisely because it did not wish to rock the boat for its partner Tony Blair and the Labour Party. Thus the Good Friday accords were endorsed in a set of referenda. However, Tamil politics has remained self-referential and pan-Tamil in character. Tamil nationalism is psychologically separatist even when it isn’t politically separatist. It is as if there is no acceptance that we have to build a home on one small island and to do so, the majority has to consent to the changes proposed. But why did this enlightenment subsequently lead to an extremely hardened position? My stance was most combative when the LTTE became clearly fascist and Tamil society more or less went along. The change in my position was quite natural and with many precedents. In the 20th century, Leninist were initially against war and warned the World war turned into civil wars. But by the 1930s, the same Leninists were arguing for a broad front against Nazi Germany, not class solidarity with the German workers! Why so? Because Germany had itself changed, and fascism had become the option for the German nation. So it was with the Tamils, and therefore, as an anti-fascist, my own position changed. I can give plenty more examples: many leftists supported the founding of the state of Israel and even applauded Israel’s victory in the Six Day War of 1967—as I did. But that changed drastically as Israel’s character changed, or revealed itself more clearly, and the Palestinians were obviously the underdogs. No progressive supports Israeli behaviour or the Israeli expansionist project today. That is also the case with my political behaviour towards Tamil nationalism which I have come to understand the hard way, is at the very least, Zionist, but is flecked with fascism—as evidenced by the continued refusal to denounce and renounce Prabhakaran. In short, to repent one’s sins; the Evil that one has countenanced, appeased, encouraged, applauded and supported. There appears to be a sense of regret and remorse about the choices made then. I suppose most of us were enamoured of lost causes in our days of youth. With the passage of time, romanticism gives way to realism gradually. In the current context I often recall the lines of Yeats – “Romantic Ireland’s dead and gone, It’s with O’Leary in the grave”. Likewise “Romantic Tamil Eelam is dead and gone. It’s with Prabhakaran in the grave”. As for the present it is widely acknowledged nowadays that Devolution is the answer. The debate is over substance and unit. You said earlier that the abolition of the 13th amendment and the striving for zero-devolution, is a non-option.If you are for a solution through devolution or greater devolution then how would you define it? What is the extent of powers – quantitatively and qualitatively- to be shared with the Provincial Councils or any envisaged regional body? And what should the unit of devolution be – particularly in the Northern and Eastern provinces? I continue to regard the 13th Amendment as the unsurpassable basis for a realistic settlement. What can be negotiated is the Concurrent List. 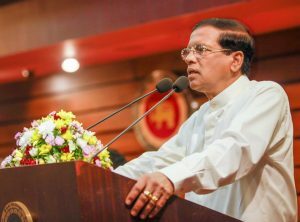 This does not mean abolishing it by transferring all powers to the Provincial Councils. It means a swap, with some powers remaining shared ones and therefore on a slimmed down Concurrent list. As for the unit of devolution, it must be recalled that neither JR Jayewardene nor Vijaya Kumaratunga, who were willing to fight for devolution, stood for a North and East merger. I think they were right. Marx, Engels and Lenin were implacably against federalism, but Engels made a single exception after Marx’s death, on the question of Germany, while adding an important proviso. Reluctantly agreeing to federalism as an option for German unification, he insisted that Prussia be divided in two, because a Prussia that remained unified would be too large and therefore dominant within a unified Germany. The same logic holds for Sri Lanka’s North and East. I continue to hold the view laid out in considerable detail by the democratic Left of Sri Lanka in July 1986, at the Political Parties Conference. 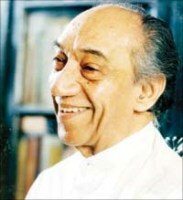 Vijaya, Colvin, Pieter, Vasu, et al drew up a progressive reformist blueprint which was officially accepted by President Jayewardene and printed as a book by the Government publishing house. It was for provincial devolution albeit without merger. Let’s wander down memory lane a bit. The ideological affinity you had with the EPRLF in those days led to a situation where you and some other left leaning Sinhala youths transcended the ethnic divide and teamed up with your Tamil counterparts and allegedly rebelled against the state. You and EPRLF leader Padmanabha and several others were indicted under the draconian Prevention of Terrorism act(PTA).Could you tell me something about the circumstances that led to this and your being proclaimed as a wanted offender during former President Jayewardene’s rule? Frankly, we weren’t rebelling against JR. We had no criticism of either the presidential system or the open economy as such. We were rebelling against the arrogant and lethally violent right-wing authoritarianism of the regime which had suspended the democratic tradition of a parliamentary election. If we were reacting to any personality it wasn’t JRJ so much as Lalith Athulathmudali, who was a Darth Vader figure. I was indicted in the High Courts of Colombo on 14 counts under the Prevention of Terrorism Act and the Emergency regulations. I was the 1st accused among 23 accused in the group called the Vikalpa Kandayama. The main charge was “conspiracy to overthrow the state through violence”. Under Athulathmudali’s personal supervision, the State through the book at us. Overthrowing the state through violence? Not secession? There was no charge whatsoever levelled at us for being separatist or supporting or encouraging separatism, because we had done nothing of the sort, and if there had been even a slight whiff of separatism, the State would surely have stuck a rap on us. Among the others indicted were K Pathmanabha (founder-leader of the EPRLF), Ram Manikkalingam, Pulsara Liyanage and Dayapala Tiranagama. The charges that were framed referred to activities ranging from 1984 to 1986, which exposes the context: after the referendum which closed off the parliamentary option for change, the pogrom of Black July 1983 and the challenge to the collective conscience of educated Southern youth of all ethnicities, the shooting to death of two university students, one before my eyes down Havelock Road. What motivated you all then? You were never arrested then. You evaded arrest by going underground. How did you cope with the changed situation at that time? Could you recall that experience please? We went underground in December 1985 and I resurfaced in Nov-Dec 1988. I was underground in Sri Lanka for two years and then incognito in self-exile in India for one year. All told it was three years before I could use my name again. The prize winning novel “Undesirable Alien” by Regis Debray, based on his experiences in Latin America, and “La Vida Clandestina” the memoirs of Enrique Oltuski, the youngest member at 27 of Fidel’s first Cabinet, attest to the difficulty of life in an urban revolutionary cell as compared with the rural, and the extreme difficulty of being underground as distinct from being either in a roving guerrilla band or in prison. It is an unparalleled existential experience. First comes the very decision to go underground, and not everyone takes that decision. They prefer to surrender to the State, or stay where they are and risk capture, or accept house arrest, or to run away from the country. I had a ticket waiting for me at the UNDP Office, left there for me by Dr. Lal Jayewardena (husband of Prof. Kumari Jayewardena) who tried to persuade me to use it and come over to Finland. I didn’t, and wasn’t even tempted. The second challenge is to stay underground without being careless, without getting caught. You are alone with your thoughts, for long periods, with the constant temptation of stepping out, not knowing how many years the experience will last; changing names, nomadic. You feel you are in a collapsed mine shaft. You leave your whole previous life behind, with all the markers of your identity starting with your name. All you have are your convictions and your resolve, your will power and determination. Apart from the ideology and my role models from Jesus to Che, I remember two songs that sustained me, constantly running through my head in those years. One was the Allman Brothers’ “Midnight Rider” which has the chorus “But I’m not gonna let ’em catch me, no/Not gonna let ’em catch the Midnight Rider”. The other was Bob Marley’s ‘Redemption Song’. You said earlier that your epiphany came about with the founding of the North-Eastern Provincial Council.A significant consequence of your rapport with the EPRLF was your inclusion as a provincial minister in the 1988-90 North-Eastern province administration led by Chief minister Varadarajapperumal. There was speculation then that you had been largely instrumental in persuading New Delhi to set up an EPRLF dominated administration in the temporarily merged North and East. Much was expected of you then.But your role as Provincial minister in Varadan’s N-E administration was short-lived. Why did you accept the post in the first place and then why did you resign so abruptly? I was in Batticaloa with Pathmanabha, still unable to get across to Colombo, and with the LTTE mounting sporadic armed attacks near the perimeter of our camp, when Vardarajahperumal came over and urged me to agree to be included in the slate for the NEPC election. Given the history of my relationship with the EPRLF and my efforts in India to secure them the privileged space in the NEPC, I agreed. But what I saw and heard during the time served, alienated and alarmed me. Innocent youth were being seized and disposed of as LTTE suspects with no evidence. I stopped one such execution and got the boy released. Though I had excellent relations with the Indian side I was dismayed that the NEPC was being run out of the Indian High Commission, virtually as a puppet administration. I noticed the anti-Sinhala sentiment, which the EPRLF never had even after July 1983, surfacing in their attitude to the Sinhalese in Trincomalee. I saw how the Sinhalese, including the staff of the kachcheris were treated in Ampara by the EPRLF militia and the IPKF during the election process. Clearly the Sinhalese were the underdogs and under siege in the Northeast. I had urged Pathmanabha to take the Chief Ministership because I still trusted his internationalist, anti-racist commitment and humanism, but he demurred and gave it to Vardarajaperumal, a choice I had warned against. The latter was close to the India High Commission but was a drunken braggart and behaved like a petty despot. Most dangerous of all was the political deviation. 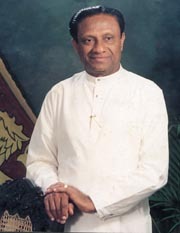 Though Pathmanabha wanted Perumal to secure votes for the martyred Vijaya Kumaratunga’s closest comrade and successor Ossie Abeygoonesekara and the United Socialist Alliance which had lost 117 cadres to the JVP’s gunfire for the sin of supporting devolution, Perumal instead supported the UNP’s candidate Premadasa, but when Premadasa sincerely reached out to them as newly elected President – in my presence at Sucharitha—the NEPC stepped up the pace by criticising the 13th amendment for insufficiency without even trying it out, demanding accelerated devolution and demilitarization. This was at a time that the UNP and the anti-racist southern Left were being slaughtered by the JVP precisely over devolution and the IPKF presence. What was deadliest is that the EPRLF /NEPC was conspiring to entrench the Indian presence which was the excuse the JVP was using to take over the South and install a Pol Pot-like regime. I had to choose between staying on board as a Minister of the NEPC and friend of India, going to London on a Foreign and Commonwealth Office scholarship to resume my PhD (at the LSE, since I had already talked to and been accepted by the renowned Prof Fred Halliday) or joining Premadasa who was struggling to save the country, restore sovereignty and usher in a better social order. I took the third option. Having taken my Ministership in Dec 1988 as the youngest minister in the island’s entire PC system, I resigned by Feb-March 1989, writing an open letter to Perumal and Pathmanabha as diplomatically as I could word it, and sending to the newspapers. Your points are well –taken. It looks like this stint as provincial minister also contributed greatly to your split with the Tamil left. But had you continued with the N- E council as minister there was a chance that you could have restrained Varadan from pursuing a more disastrous course. Given your influence with President Premadasa, Ambassador Dixit, South Block and the EPRLF you could have played a constructive and moderating role. Any regrets about quitting so early? Mrs Bandaranaike had told my father that I should have stayed on to find out what the NEPC was up to! My father wasn’t quite sure I’d done quite the right thing at quite the right moment, but things were too far gone then in the actual (overlapping) theaters of politico-military battle. JVP landmines and booby traps were going off in Colombo. The Field Force headquarters in Thimbirigasyaya was attacked. State power was hanging by a thread. I spoke to Kuldip Sahadev the top official in South Block in charge of the Sri Lankan case, who had come to Colombo with Natwar Singh and proposed an announcement of a front-end loaded IPKF withdrawal to open the safety valves in the South, perhaps substituted by a peacekeeping force drawn from the SAARC and Nonaligned countries, but despite all the credibility and goodwill I had accumulated in Delhi, they wouldn’t hear of it. But why did you throw in your lot with Premadasa? The UNP dissidents who would later become the DUNF were talking to the SLFP to ally against Premadasa and were telling the Indians that they could get the military to move against him. High Commissioner Dixit had told my father that the NEPC Chief Minister and Cabinet felt, after our official meeting at Sucharitha with President Premadasa and Ranjan Wijeratne and the president’s warm outreach to me, that I was “getting too close to the Sinhala Establishment”. This proved to me that the NEPC and India regarded President Premadasa as a foe, with no good reason whatsoever! The polarization was complete. The die was cast. It was a “High Noon” or “Gunfight at the OK Corral” situation, and I chose to take my stand unambiguously with Premadasa. I think I helped turn things around in putting down the rabid Pol Potist JVP uprising. I was also able to work with a great patriotic and pro-people leader in a context of extreme crisis, which I was able to do again, with President Mahinda Rajapaksa. Working with Premadasa was the closest I would get to working within a socialist experiment. For someone like me who had tried to make a socialist revolution and failed, and had turned 30 while underground two years before, Premadasa represented a second chance. I do not regret it. Let’s return to more recent events.You were treated very shabbily by the Rajapaksa regime after both your stints as envoy in Geneva and Paris. In spite of this you have hitched your wagon to the Medamulana star. Why is this?What is it that makes you a fellow traveller of Mahinda’s political minions? If I am a “fellow traveller” it is not of “Mahinda’s political minions”. Which ones? One thing my father taught me was never deal with the monkey, but always with the organ grinder. Furthermore, if I were a fellow traveller, I wouldn’t have been sacked—any more than Mervyn would have been sacked, as he was by Mrs Bandaranaike, had he been a fellow traveller of hers. Speaking of my father, Mervyn and Mahinda were quite close, as is evidenced in the article written in his memory by Mahinda which appeared in the newspapers back in 1999 entitled “He Wrote What He Liked”. They worked together in the Palestinian Solidarity Committee, but the real backstory was Mervyn’s close friendship with George and Lakshman Rajapaksa, going back to 1956 and the Atlanta/Tropicana days. Mervyn regarded Mahinda fondly as a Young Turk, a personable young comer who belonged to the Rajapaksa tradition which was on the left-wing of the SLFP—may I say the pro-Moscow wing of the SLFP which Mervyn himself was closest to. My father was also fond of Dinesh Gunawardene and Vasudeva Nanayakkara, so it would be accurate to say that except for Mr. Sampanthan, those in politics today who my father liked are in one camp, the Joint Opposition, while Mervyn had a bitter Cold War going on with the UNP right-wing which persecuted him and was incarnated in Lake House by Nalini Wickremesinghe, Ranil’s mother. It is not Dinesh or Vasu I have in mind as fellow travellers but some others in the Mahinda camp.You are now depicted by some of your critics as a camp follower of Mahinda Rajapaksa.Some of the camp followers in this camp are chauvinists and neo-fascists. Is it not degrading to be seen as part of this entourage? Does it not rankle? Nope, for three reasons. Firstly I am not now and have never been a camp follower, even when I supported President Premadasa—or else I wouldn’t have been sacked by Mahinda, would I? I have always been a critical, perhaps dissident supporter, who has maintained my intellectual independence. I have never joined Mahinda’s political party, which ever it be, and have no intention of doing so. 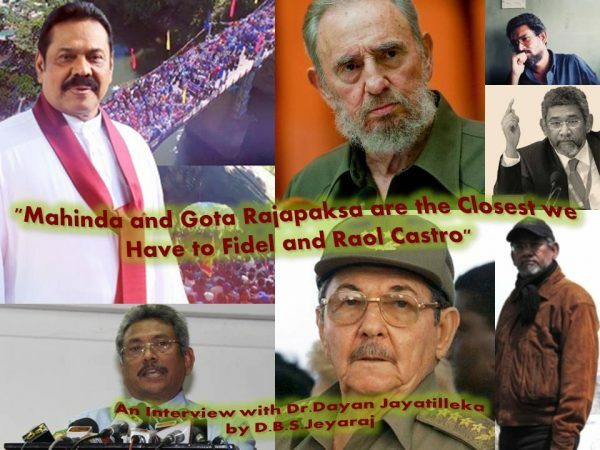 Secondly, Mahinda and Gotabhaya are the closest we get, and shall get in the foreseeable future, to a Fidel and Raul. I’ll take what I can get, in terms of political leaders who are unafraid to stand up and fight for at least some of the values and ideals I believe in as did my heroes such as Fidel, whose original slogan was “Patria O Muerte!” meaning “Fatherland or Death!”. Similarly, the slogan of the Nicaraguan Sandinistas was “Patria Libre o Morir!” meaning “Free Fatherland or Death!” Those shared ideals are independence, sovereignty, national liberation, national unity, territorial integrity. Thirdly, as for chauvinism and neo-fascism, I think there’s a lesson we have to learn from the Trump triumph. Antonio Gramsci returned to Machiavelli and elaborately theorized a cardinal point in the 1930s. Crudely paraphrased, the point was that if the Left does not infiltrate, occupy and rework the terrain of nationalism, statism and populism, the Right will, and will win (as did Mussolini). Gramsci’s Comintern comrades Togliatti and Dmitrov made much the same point with the Popular Front formula. I recall my (published) conversation in Moscow in the summer of 1985 with Kurt Julius Goldstein, Spanish Civil War veteran, Auschwitz survivor, survivor of the death march from Auschwitz to Buchenwald, and head of the World Federation of Anti-fascist Fighters, what the main mistakes the German Communists (of which he was one) made. He said it was to confuse nationalism, racism and fascism, and that they should have united with the nationalists and even the racists, against fascism. I have never forgotten that lesson. The fascists cannot be isolated by leaving out the nationalists. Only in this case some of those in the pro-Mahinda camp are by definition “ethno religious fascists”themselves. But on a different track – Do you really foresee a return of the Ruhunu Rajapaksas to power? If so what are the prevailing objective conditions that would facilitate such a return? The UNP has a history of disastrously polarising one-term administrations. The exceptions were JRJ because of the Presidency and a high growth rate, the Mahaweli scheme etc., and Premadasa, due to his populism and patriotism. Ranil’s UNP has none of these factors going for it and is a throwback to the three one-term wonders: 1952-1956, 1965-1970 and 2001-2004. Such UNP administrations usually have a profile which triggers two types of backlash—nationalist and populist—which then converge with devastating political results for the incumbent. The Tamil “push factor” also plays its role: the language issue and Sir John’s Delft speech, the Hath Havula and the D-C pact, the LTTE and the CFA. Today’s UNP has an added drawback—by sticking to its neoliberal guns, it is going against the global ideological tide of nationalist populism, just as it did in 1955-’56. The implementation of the 2015 Geneva accountability resolution and the TNA’s push for a new quasi-federal Constitution will also be nails in its coffin. The only questions are will the UNP go head first or feet first? Will President Sirisena do to Ranil what CBK did in 2004 or will he leave it too late and wind up a Kerensky or Gorbachev figure? As for the Rajapaksas, their fortunes are waxing precisely because of the nature of the regime, dominated by Ranil and driven by his policies. 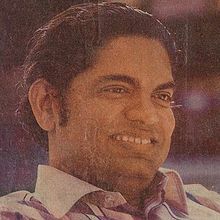 The Rajapaksas are literally the children of 1956 in that their father was one of its architects. Chandrika’s defection has left the field clear for them to surf the inevitable anti-UNP wave. They know, deep in their bones that it is coming because they’ve lived through it as boys and young men, while their father, cousins and uncles tilled and harvested the anti-UNP field. The only question is the permutation and combination—Mahinda or Gotabhaya or both? Against the backdrop of what you say about Rajapaksas returning to power – Would not the path to power for the Rajapaksas then rely heavily on whipping up an ultra-right Sinhala Buddhist consciousness targeting the minority communities? Are you not uncomfortable about it? It is not necessarily so, since the JO has left, right and centrist tendencies, unlike the Trump campaign. However, a look back at the island’s political history shows that the Sinhala backlash is due to the excessive political push from Tamil nationalism and the latter’s over-identification with the comprador capitalist UNP as well as imperialist interventionism and hegemony. It is the nature of the power bloc, the profile presented by the target regime—the UNP plus the minorities—that has always led to a Sinhala backlash. In 1951-52, and during the Hartal of 1953 there was no such backlash, and the newly formed SLFP defined itself as social democratic, but it was the combination of the profile of the Kotelawalan UNP and the stridency of the Chelvanayakam FP that shunted the anti-UNP struggle onto the majoritarian rails that it did. The same goes for 2001-2004. Minoritarianism breeds majoritarianism. What the Tamils should consider is a two-party system, with a centre-right formation allied to the UNP and a centre-left to the SLFP/JO/SLPP, rather than one allied to the UNP and the other to the Diaspora, the UN Human Rights High Commissioner’s office, and Tamil Nadu! If there is one point where I agree with you most,it is about the course of current Tamil politics.However let me ask you this.What is the role you envisage for yourself in the movement striving to bring Mahinda back to power? I don’t envisage my primary goal as bringing Mahinda back to power as much as resisting and stopping the ongoing sell-out of sovereignty. I find myself back in the same situation I was in the decade 1994-2004, where my task was to fight against CBK’s 1995-1997 ‘package’ (though I helped her when she resisted the Tigers in 1999-2000), Ranil’s CFA, the LTTE’s ISGA, and CBK’s PTOMS. Supporting Mahinda was a logical step in that struggle. I am not opposed to President Sirisena and would support an interim centrist re-composition which drops Ranil, Mangala and CBK and accommodates Mahinda in a manner that reflects his real strength on the ground, which is quite considerable and fast growing. While supporting Mahinda you are not opposed to a potential re-alignment with Maithripala.Presently you seem to be maintaining amicable relations with President Sirisena also as you have with Ex-President Rajapaksa. Judging by what you said now and by similiar ideas expressed in some of your writings earlier would it be correct to assume that you are trying to be an honest broker in bringing both factions of the SLFP together in a new political relationship? In my stance towards President Sirisena, that is not at all my primary intention. I regard him on his own merits and potentials. I had spoken on TV about Maithripala Sirisena’s potential, quite some time before Jan 2015. Moreover, as I have since disclosed in the media, in March 2014 at dinner with President Rajapaksa I advocated making Minister Sirisena the Prime Minister. On December 8th 2014, the day before the nominations, I met both President Rajapaksa and candidate Sirisena at their invitation. 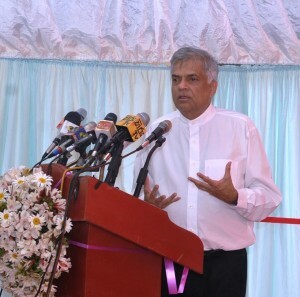 I explained to Mr. Sirisena that while it was necessary to move forward from the model of the MR second term, affiliation with Ranil and Chandrika, two ghosts from the worst of the past, would preclude a move forward (I specifically recommended Deng HsiaoPeng as a role model) and constitute a move backward (a la Yeltsin), thus making it impossible for me to support him as against Mahinda Rajapaksa, whom I regard as the greater national/historical figure. This remains my principled position. However, I never forget that President Sirisena has a progressive side to him. He was a Maoist and was jailed in the 1970s. He was also the first to sign the condolence book at the Cuban Embassy for Fidel. He is holding a commemorative event at the Presidential Secretariat. I have more in common with him than with Ranil, Mangala and CBK. 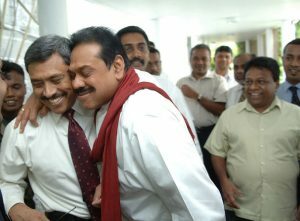 Indeed, Mahinda and he have much more in common ideologically than either of them has with the UNP. I have no desire to see President Sirisena overthrown nor do I advocate it, while I do advocate the eviction of Ranil-Mangala-CBK. I do not wish to see the Presidency and President Sirisena further weakened. I am aware that our firm friends China and Cuba do not see President Sirisena as an enemy and indeed see him as a friend, and would like to see all their sincere friends, all progressive leaders in Sri Lanka, to have a rapprochement. I share that perspective. Both Mahinda Rajapaksa and Maithripala Sirisena are Asia-centric, not West-centric. I think that it is possible, though problematic, to effect a Rajapaksa-Sirisena equation, but the big fat fly in the ointment is the local Hillary Clinton, Chandrika– so as a Realist, I’m not holding my breath! I’m willing to admit though that while I am much more inclined to Mahinda and feel more comfortable with him, in a sense one of my strivings is to create a common ideological space in which Mahinda Rajapaksa and Maithripala Sirisena can coexist. How do you see the situation now particularly after the US presidential stakes. Will the US be firm as in the days of Samantha Power to ensure that the UNHRC resolution on Lanka be implemented? Even if the US plays a less strident role where does that leave Lanka? 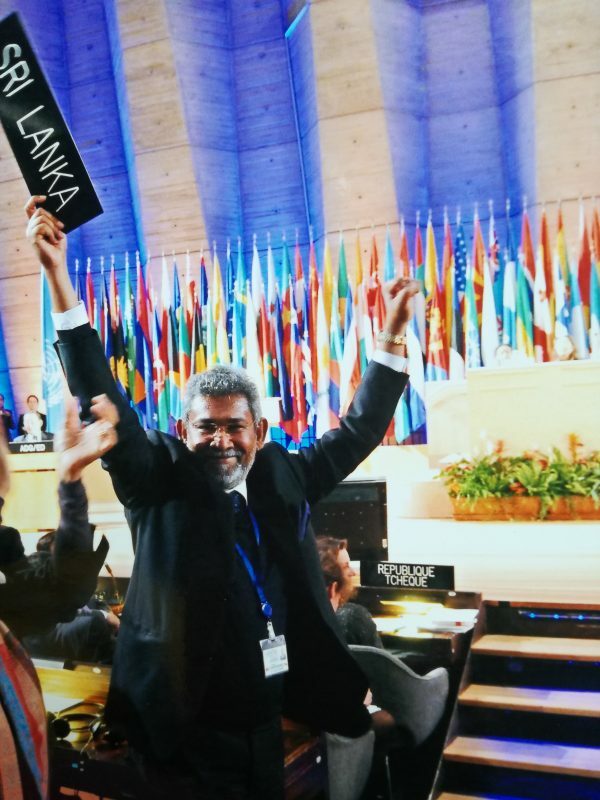 Has Colombo not co-sponsored the resolution and is therefore duty bound to implement it fully? That rather depends on the Government of Sri Lanka. The regime change in Washington DC gives Sri Lanka considerable wiggle room. The global march of populist nationalism, or what The Economist (London) calls ‘The New Nationalism’, cannot but impact upon and be reflected in the UN Human Rights Council and gives Sri Lanka even more space to re-canvass its case about terrorism and state sovereignty. We stand a good chance of renegotiating the 2015 resolution. However, the duo of Sri Lankan foreign minister and the ex-president Chandrika Bandaranaike Kumaratunga are adherents of the deposed Clintonism and will therefore not act in Sri Lanka’s national interest. It will take the intense domestic political backlash that will ensue as the result of Mangala’s efforts to implement the 2015 Resolution on the ground through new legislation, a new prosecutor’s office outside the AG’s Dept. and of course Special Courts, to make President Sirisena either remove him or remove Geneva from his charge and give it to an SLFP senior such as Sarath Amunugama or Mahinda Samarasinghe who can cut a far better deal for Sri Lanka and the President. There are many more matters to be discussed but this interaction has gone on for long. So let me wind it up now with a last question. You have reached the milepost age of sixty. How has the going been and what next for you? I feel I have lived many lifetimes in one. Many stories, many adventures, many risks, many strivings and struggles, many projects. I feel like Ray Bradbury’s short story “The Illustrated Man”, played by Rod Steiger in the movie. He had tattoos all over his body, which if peered at too closely, come alive. My tattoos are invisible. Of everything I have done or tried, I am proudest of the two of my four books that were published in London—the one on Fidel’s Ethics of Violence (by Pluto and the Univ. of Michigan Press) and the other on the Fall of Global Socialism: a Counter-narrative from the South (Palgrave Macmillan). I regard that as the irreducible residue of my life so far. Those two books are what I would like to be judged by. Of all my friends the one I respect most is Richard Falk, Prof. Emeritus of International Law at Princeton and legendary progressive intellectual of the same vintage and rank as Noam Chomsky. Commending me on my recent valedictory article on Fidel, he reminds me gently but pointedly that my work on “the ethics of emancipatory violence” is now “more relevant than ever”. That’s the lifework I would really like to return to—the task my PhD supervisor, political theorist John Kane recalls me to, my unwritten “magnum opus”. I would like to live in the mountains or by a lake somewhere with my wonderful wife Sanja, doing our respective reading and writing, going for walks, flowers in our garden, a chapel close by. I would like to make the transition from the boyhood Jungian archetype of The Hero/Warrior to another one, The Sage or The Elder. But I don’t think it is yet the time and place for the transition. To amend Che slightly, other causes “call for my modest efforts”. There are still battles to wage before I earn that space and time……….and peace of mind!